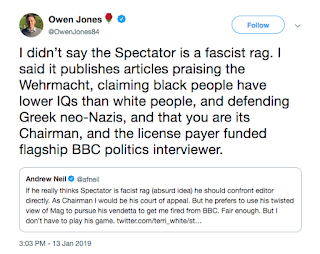 In the manner of a dog unable to leave a bone alone, BBC host Andrew Neil continues to pretend that he was wronged by Owen Jones, that Jones made one or more claims that were not true, and that he doesn’t interfere in goings-on at the increasingly alt-right Spectator magazine. Sad to say, this protestation of innocence was a campaign destined to develop not necessarily to his advantage, and so it has proved. Brillo once more took to Twitter to instruct his faithful followers to Look Over There. 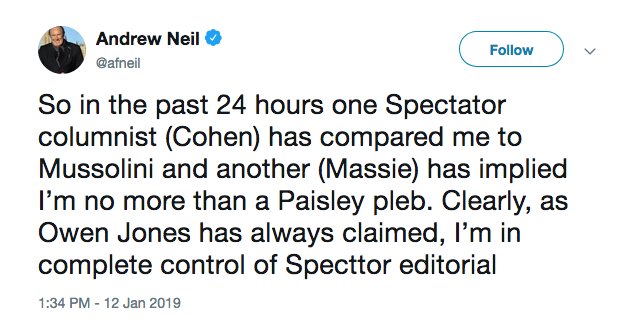 “So in the past 24 hours one Spectator columnist (Cohen) has compared me to Mussolini and another (Massie) has implied I’m no more than a Paisley pleb. 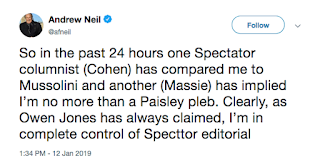 Clearly, as Owen Jones has always claimed, I’m in complete control of Specttor [sic] editorial”. But Jones did not make that claim. And Michael Walker was unimpressed. 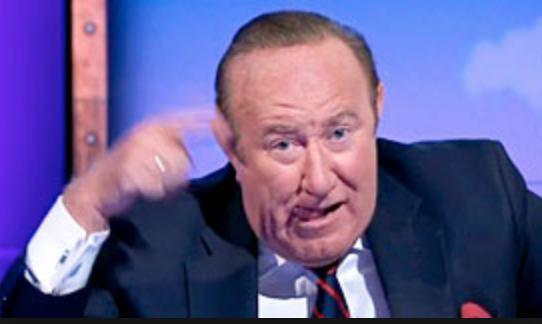 “How long can @afneil, who I consider an intelligent man, play so dumb on this? 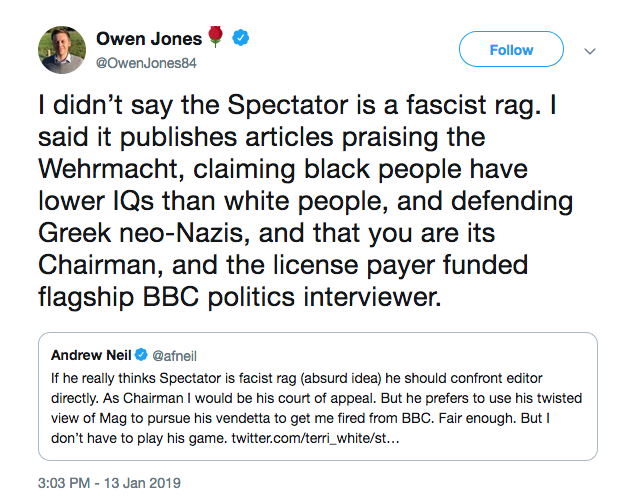 Owen has never claimed you agree with everything in your paper. 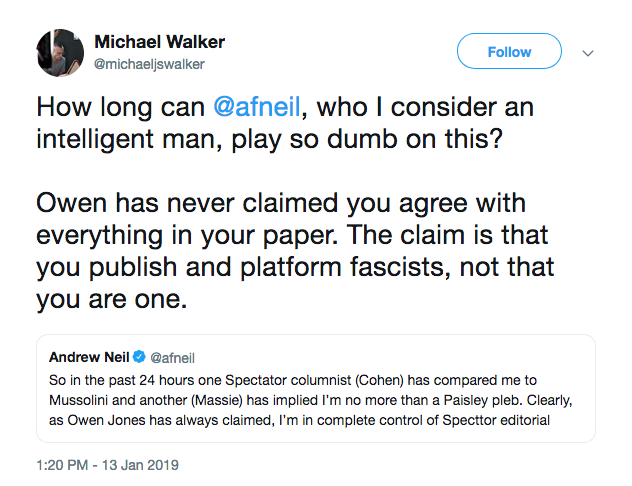 The claim is that you publish and platform fascists, not that you are one”. Correctamundo. What say The Great Man to that? “I understand that. It’s a claim requiring retort. 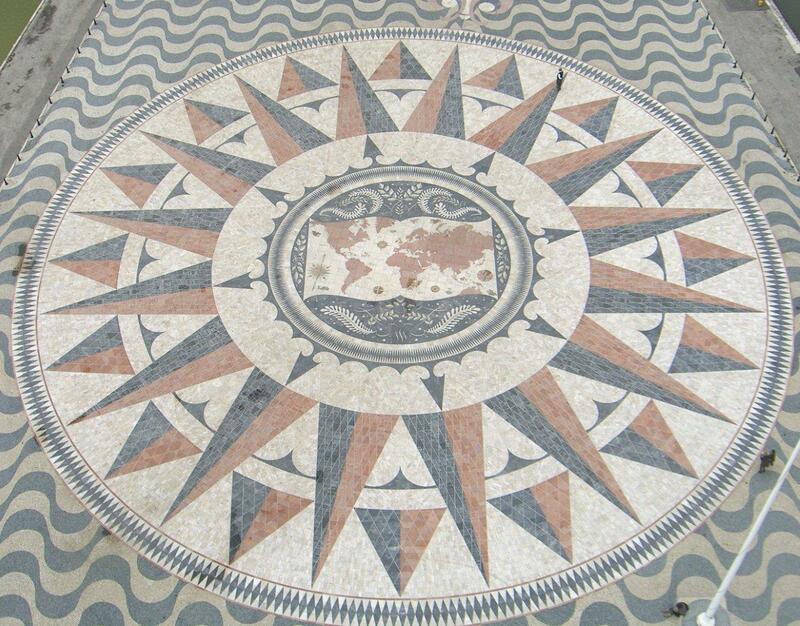 But his first port of call has to be the editor, who is responsible for what is published. If he can’t get satisfaction there, he can appeal to the Chairman. But not on BBC. 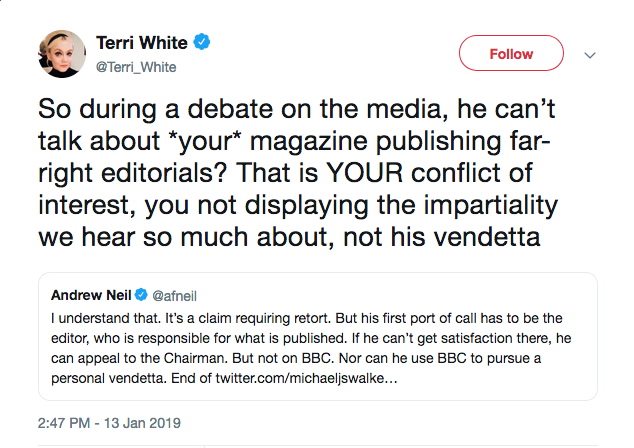 Nor can he use BBC to pursue a personal vendetta. End of”. But Jones was not pursuing a personal vendetta. He was stating - correctly - that the Speccy was platforming some utterly abhorrent views. So he can have had no complaints when Jones shot back “There is no personal vendetta. 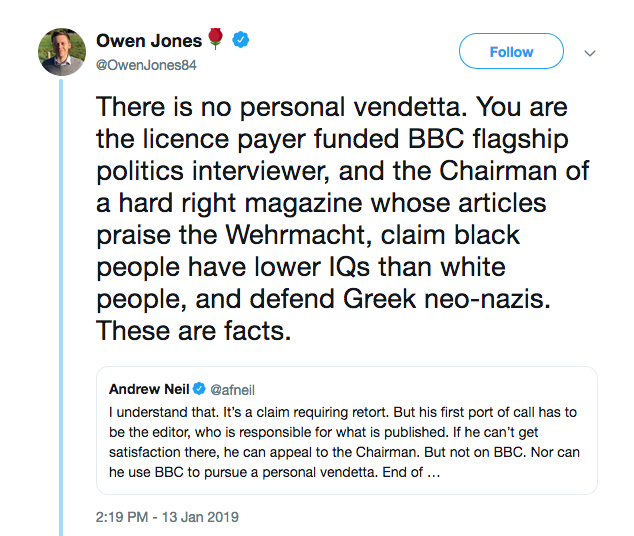 You are the licence payer funded BBC flagship politics interviewer, and the Chairman of a hard right magazine whose articles praise the Wehrmacht, claim black people have lower IQs than white people, and defend Greek neo-nazis. These are facts” [Thread HERE]. Jones could have added that the source of that - Taki Theodoracopulos - is a virulent anti-Semite. 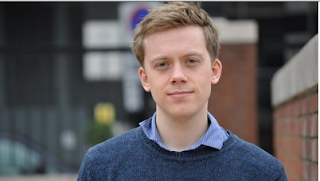 He could also have mentioned Rod Liddle claiming that there was not enough Islamophobia in the Tory Party. He could have pointed out that the Speccy has given a platform to Doug Murray The K, who has in the past told that “Conditions for Muslims in Europe must be made harder across the board”. 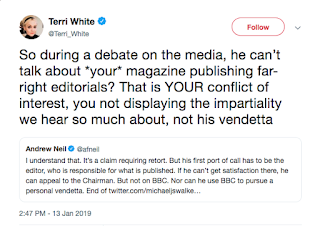 In any case, Terri White was not convinced by the Brillo apologia. “So during a debate on the media, he can’t talk about *your* magazine publishing far-right editorials? That is YOUR conflict of interest, you not displaying the impartiality we hear so much about, not his vendetta”. Also correct. But still he soldiered on. 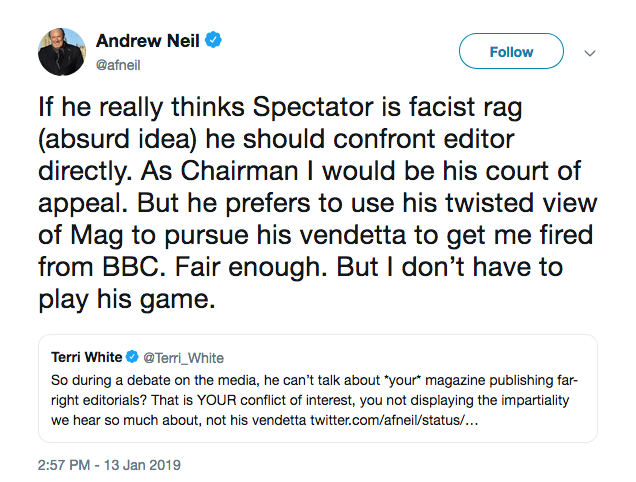 “If he really thinks Spectator is facist [sic] rag (absurd idea) he should confront editor directly. As Chairman I would be his court of appeal. 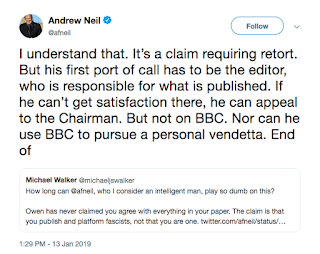 But he prefers to use his twisted view of Mag to pursue his vendetta to get me fired from BBC. Fair enough. But I don’t have to play his game”. Now he claims Jones is trying to get him sacked, but he is not. And as he already tried to shout Jones down on This Week, his “court of appeal” is worthless. Also, Jones was still not buying it. 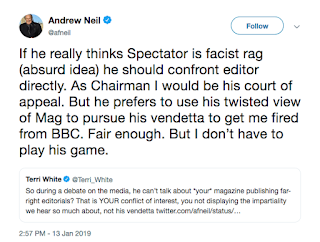 “I didn’t say the Spectator is a fascist rag. 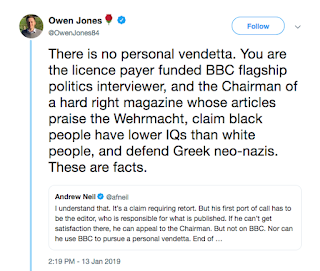 I said it publishes articles praising the Wehrmacht, claiming black people have lower IQs than white people, and defending Greek neo-Nazis, and that you are its Chairman, and the license payer funded flagship BBC politics interviewer”. Indeed. And the Islamophobia, don’t forget. 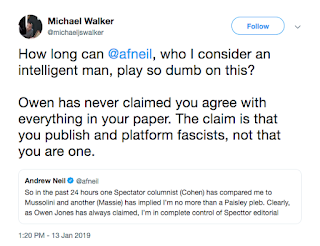 And that Taki is an anti-Semite whom Speccy editor Fraser Nelson claimed was merely an “old rogue”. Anyone might get the impression from the latest Brillo scourings that he is coming under pressure not merely on social media, but elsewhere. Which may indeed include the BBC. Neil isn't "playing dumb" on this. He's a far right tory liar. Always has been and always will be. 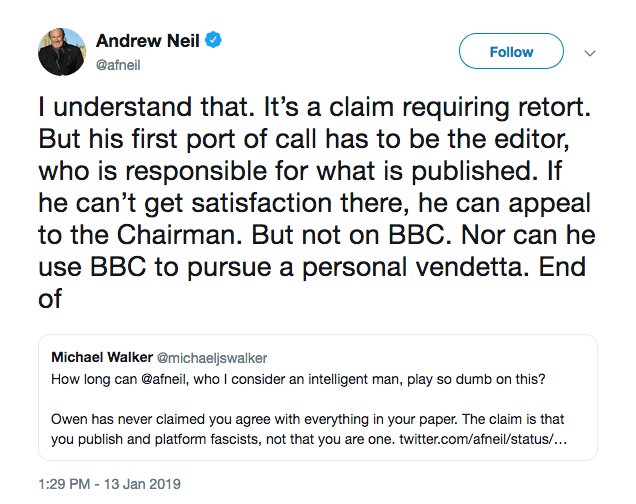 Which is why the BBC employs him. A disgusting individual who, like all of his type, pollutes every aspect of public life he touches. 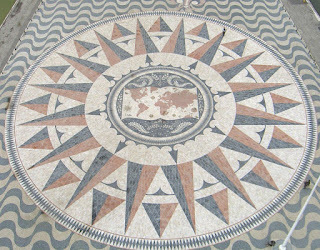 Neil as "a court of appeal". Surely this is the death of satire? It's time that the rest of the old guard left the BBC following Dimbleby's retirement. So come in Neil and Humphreys, your time is up. I saw Carrie Gracie on BBC News Dateline yesterday and people like her can easily take over. She was fabulous. The BBC is far left, but employs him because he is "a far right Tory liar." Wow... Scooby doors less confused than you. Can you kindly name the "far left" presenters, "editors" and "journalists" at the BBC? All in the interests of democracy you understand. Melanie Phillips - Why, BBC, Why? Manchester Attack - Blame The Muslims!